It used to be a proven formula: hit movie plus power ballad equals chart smash. 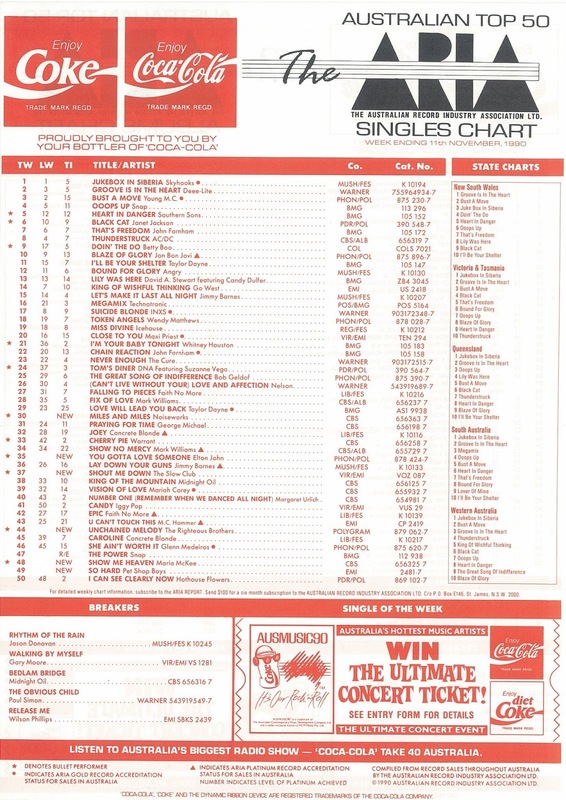 And indeed, this week in 1990, two of the week's new entries on the ARIA singles chart were soundtrack singles that would wind up being the biggest hits of the summer. One was a new song by the former lead singer of a little-known American band, while the other was the re-release of a single that'd reached number 3 in 1965. One of the two would go on to top the Australian top 50. At number 1 this week in 1990, the reformed Skyhooks ruled the roost for a second week with "Jukebox In Siberia", but thankfully it would be the single's final week on top. A brief top 100 appearance for this second single from Harley & Rose, which I don't think I'd realised was even released. The Sorrows would return to the top 50 in 1991. Taken from the American-born, Australian-based singer's major label debut album, this ballad peaked at number 90 in 1990 before returning to the chart for an improved run in April 1991. A cover of a 1954 blues track by Jimmy Rogers, "Walking By Myself" was the third single from Gary's Still Got The Blues album - and it's a pretty faithful rendition, down to the sub-three minute running time. Our first soundtrack hit was the theme to Days Of Thunder, the car racing film that brought Tom Cruise and Nicole Kidman together. I've never seen that movie, but I did buy this single (on cassette), performed by former Lone Justice singer Maria McKee. A British number 1, "Show Me Heaven" had to settle for five weeks at number 3 in Australia - although Maria had been responsible for a chart-topper here, having written Feargal Sharkey's "A Good Heart" back in the mid-'80s. The soaring ballad would end up being Maria's only chart hit, probably because its ultra-commercial feel was at odds with her usual, more niche style - and she would routinely leave it out of her concerts in the years following its success. Movie hit number two was not a new song. In fact, it was a very old song, with a gap of 25 years having passed since this version of the frequently recorded song was last on the Australian chart. But The Righteous Brothers weren't the first act to record "Unchained Melody" - not by a long shot. The melody was originally composed in the 1930s and the lyrics written two decades later when the tune was included in the 1955 film Unchained (thus the title), performed by Todd Duncan. The Oscar-nominated song then went on to be recorded numerous times over the next decade (including a batch of versions that all came out in 1955) - and many did quite well on the Australian, US and UK charts. In Australia alone, two versions reached number 1 - those by Les Baxter and Al Hibbler. So by the time the duo of Bobby Hatfield and Bill Medley released their remake in 1965, it was an incredibly well-known track. Nevertheless, The Righteous Brothers' version of "Unchained Melody" reached number 3 in Australia, number 14 in the UK and number 4 in the US that year. Then, after its memorable inclusion in the film Ghost in 1990, the original recording sped back up the charts, finally making it to number 1 in Australia and the UK, and foiled from doing the same in the US due to the existence of rival versions of the single - the original and a re-recording - both of which were on the Billboard Hot 100 simultaneously. 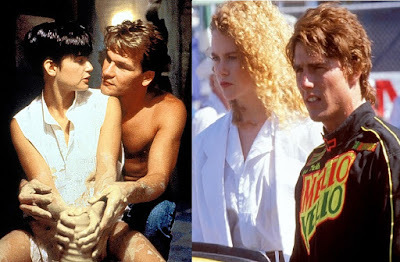 The song has continued to be recorded by other artists ever since (including two more chart-topping versions in the UK), but no matter how often "Unchained Melody" is covered, it will forever more be best known as the song from that pottery scene. Like Bang The Drum and Wildland, this Melbourne band seemed to be another attempt by an Australian record label to launch a 1927-style group with radio-friendly, sing-along pop/rock songs. But also like Bang The Drum, Wildland and even 1927 at that point, The Slow Club faltered, with debut single "Shout Me Down" only advancing one more spot on the top 50. Fronted by singer Andrew Sefton, The Slow Club also included in its number former Japan guitarist Rob Dean. The second new entry for the week which was included on the soundtrack to Days Of Thunder - a fact I'd forgotten about until now - "You Gotta Love Someone" was also one of two new songs to appear on The Very Best Of Elton John. The first compilation that spanned the extent of Elton's full career (which by 1990 was already impressive), the double CD capitalised on Elton once again being a global chart force thanks to singles like "Healing Hands" and "Sacrifice". "You Gotta Love Someone" was, however, one of the more forgettable singles of the 80+ he'd released by 1990, and was another of this week's new entries not to make much progress beyond this entry position. Here's our third track in a row that looked like it might become a big hit but failed to move much further up the chart - and it's one I think should have been much bigger given it was Noiseworks' best single in years. 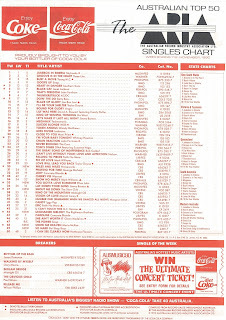 Like previous release "Freedom", "Miles And Miles" was taken from the upcoming Randy Jackson-produced album Love Versus Money - but two consecutive chart disappointments meant that album wouldn't see the light of day until mid-1991, by which time the band had finally managed another top 10 single. Next week: the most successful white rapper of the pre-Eminem era, Tina Arena covers a song by British group Five Star, Jason Donovan makes his final top 50 appearance, and new hits from Bette Midler, Snap!, Jon Bon Jovi and more. I don't remember 'Angel Street'. I bought the Ana Christensen single on eBay years ago, wanting to hear it again. In retrospect, I think 'So Hard' was a weak lead single, and is not one of my favourite songs of theirs. I like the 'we've both given up smoking' lyrics though. The way Neil sings/says "hidden" in the second version has always sounded like "hidRen" to my ears, which bugs me. 'Show Me Heaven' is OK, but not a favourite of mine. 'A Good Heart' was great, though. I loathed 'Unchained Melody' at the time, and couldn't believe that it went to #1 in 1990. I still can't, really, but the song has since grown on me. It seems strange that a member of Japan was in a local group. I have to wonder who was buying Elton John singles in 1990. I hadn't heard, or heard of, this one until it debuted in the top 60 on rage. 'Miles and Miles' received a lot of air play in Victoria, so it was surprising to see it 'stall' at #26.